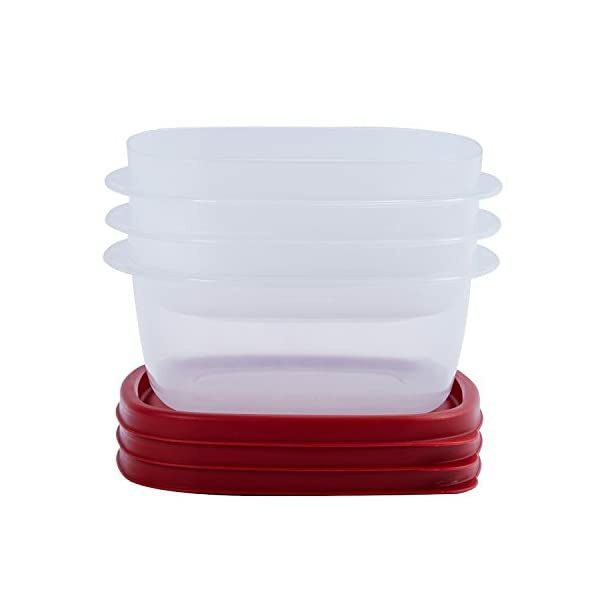 5 PACK SET - The versatile 1790 kitchen containers come with 4 different sizes. Included: 1.9L (8 cups), 1.2L (5 cups), two 0.8L (3.5 cups), 0.5L (2 cups) for a total of 5 individual canisters. 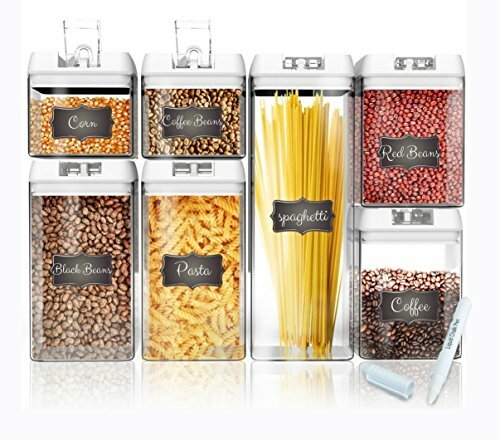 The 1.9L size is perfect for storing pastas and tall enough for spaghetti. 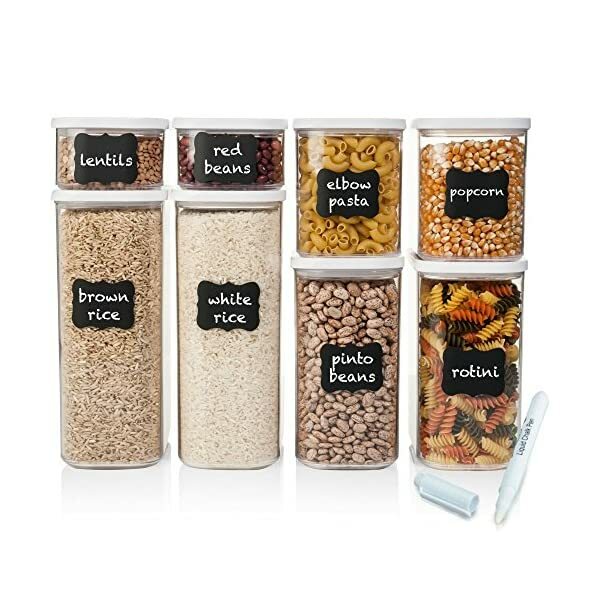 BPA FREE & FDA APPROVED MATERIALS - The clear plastic canisters and lids are created with premium materials that are 100% BPA Free and FDA Approved. Have ease of mind that no matter what you store, it will be safe and toxin free. 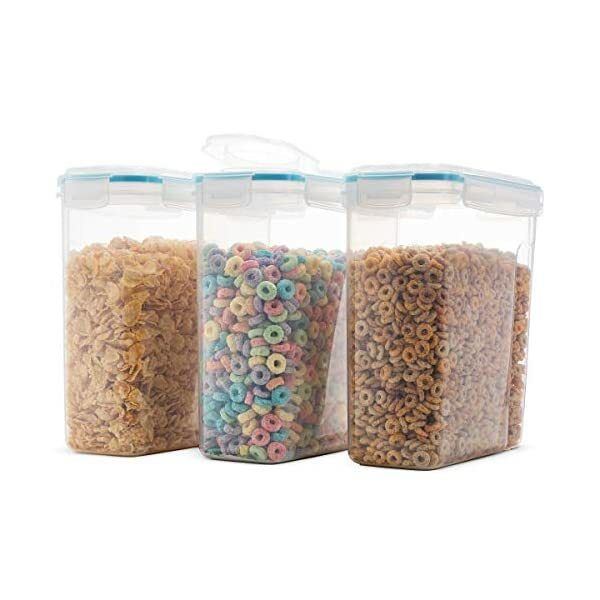 EASY OPERATION LOCKING LID - Flipping the tab down creates a locked and secure seal on each container. Simply flip the tab up and lift to remove the lid. The smooth mechanism allows for easy one-handed operation for anyone! SECURE SEALING: Side-locking lids seal these meal prep containers tightly, protecting your food from air and water while keeping it fresh. The spill proof covers prevent sauces or dressings from spilling. 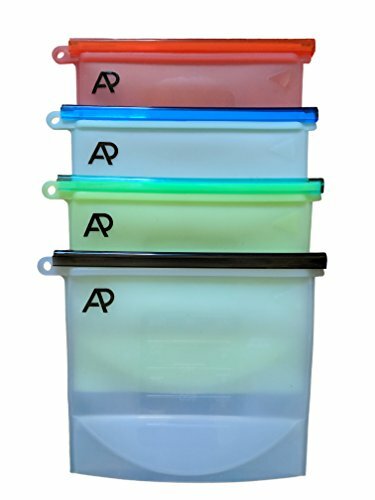 PREMIUM PRODUCT: Our BPA free clear plastic containers and lids are made in Korea, renowned for top quality kitchen goods. They are good for the environment, good for you, and safe for the family! 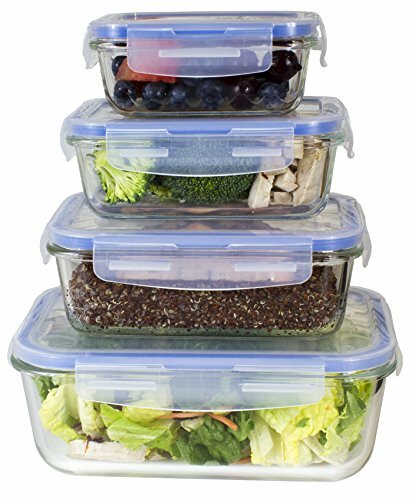 STACKABLE LID DESIGN: Have lots of leftovers to store? 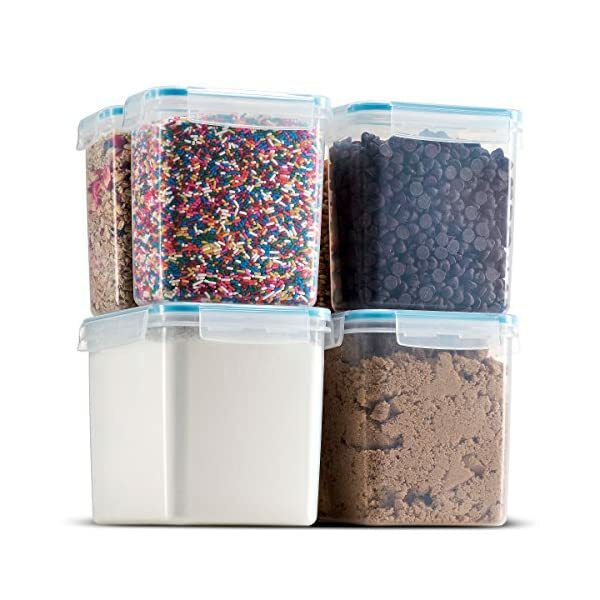 Our lids' special non-slip design allows you to stack these snack containers fear-free, wherever they fit, in the fridge, freezer, or pantry closet. ✔️ OUTSTANDING CUSTOMER SUPPORT ✔️ Go ahead, read our reviews, we are customer obsessed! With Sapere, you can buy with confidence knowing we will make sure your experience is outstanding every time. If your product is anything less than perfect you are covered by our 100% no questions asked money back guarantee. ♻️ ECO-FRIENDLY, RECYCLABLE, AND SAVES YOU MONEY ♻️ Never waste money on plastic bags again! 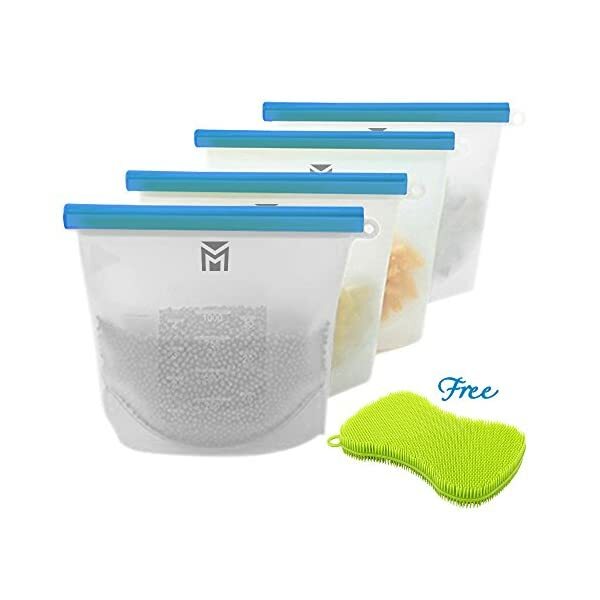 Our Premium 4 Pack gives you more options to save food than our competitors: 4 Large Bags and a Large & Medium Reusable Wrap. 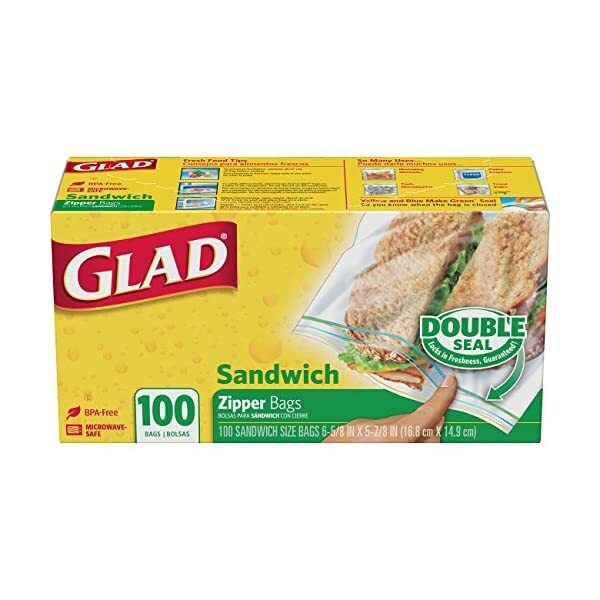 Our food bags and silicone wraps are a one-time purchase, just wash and reuse to save the environment! Our reusable (and recyclable) alternative eliminates the need for bags that harm our earth, and instead provides a solution where you're the star! 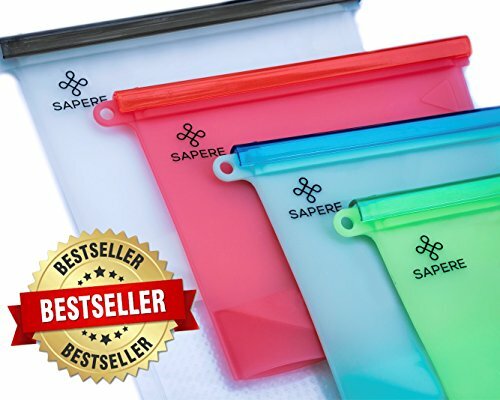  EAT HEALTHY, SAVE HEALTHY 陋 Sapere's superior bags are a great way to begin eating healthy and maintain the ability to do so, they're multipurpose! 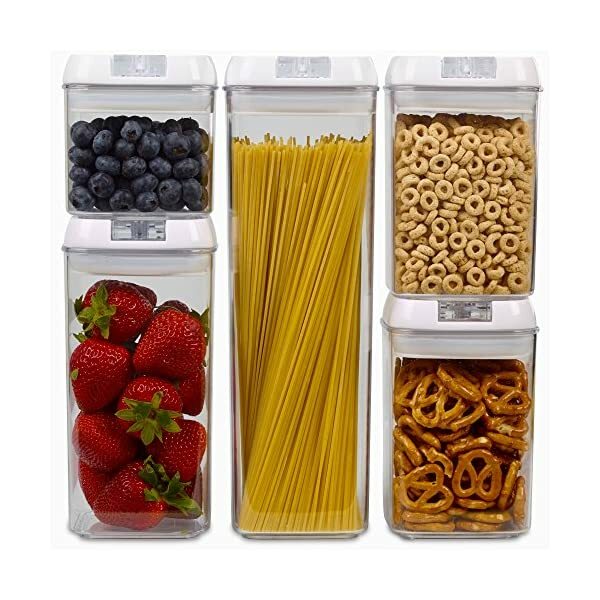 Enjoy traveling with the convenience of on-the-go snacks while at work, school, home or even on vacation! IT'S TIME to purify your lifestyle, one day at a time, with purifyou's Premium Reusable Mesh Bags. 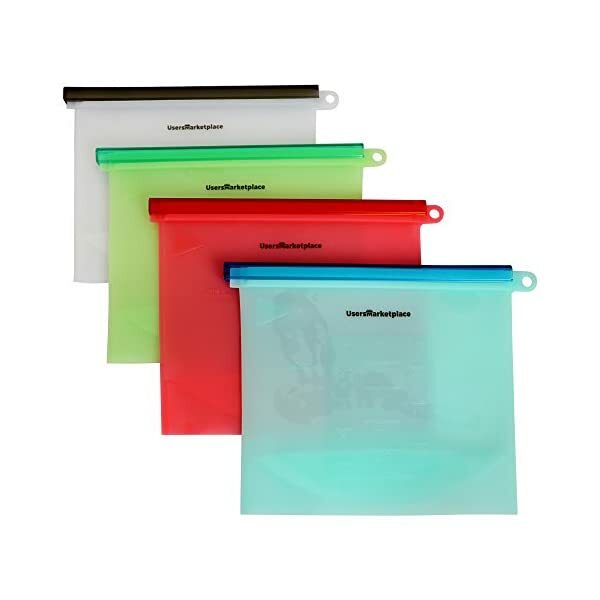 Our mesh bags are machine washable, and come with the most vibrant pastel tag colors. Our bags are also made in a facility free from harmful manufacturing chemicals and with the highest standards of quality control. With our unbeatable 15-month warranty and 30-day 100% satisfaction guarantee, you'll never look back. ONE SIZE DOES NOT FIT ALL: You'll find an unlimited number of ways to use our bags. The Set of 9 includes a whopping 9 mesh bags and 3 sizes: two large 12x17" bags, five medium 12x14" bags, and two small 12x8" bags. Our 12x17" bag can hold any item up to a lengthy 21 inches when placed in the bag diagonally. From extra small chocolate-covered almonds, to those extra large English cucumbers, you're covered. Plus, those pesky hard-to-open plastic bags will now be a thing of the past. UNIQUE: Our double-stitched bags can safely hold up to 11 pounds. 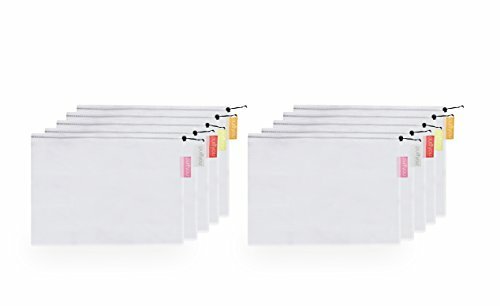 Despite their strength, our bags are still see-through and light-weight (our largest is less than 0.91 ounces), saving you time and money at the register. With yet another time-saver, you can place your bag straight into the fridge, and the breathable fabric often extends the life of your produce. That equals more savings, less food wasted, and less harm to our planet. Win-win. 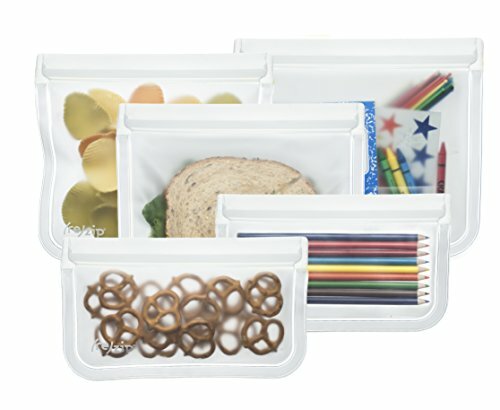 ✔️ YOUR PERFECT STORAGE BAG - Our Silicone Storage bags is perfect for storing any type of Food or Liquid. 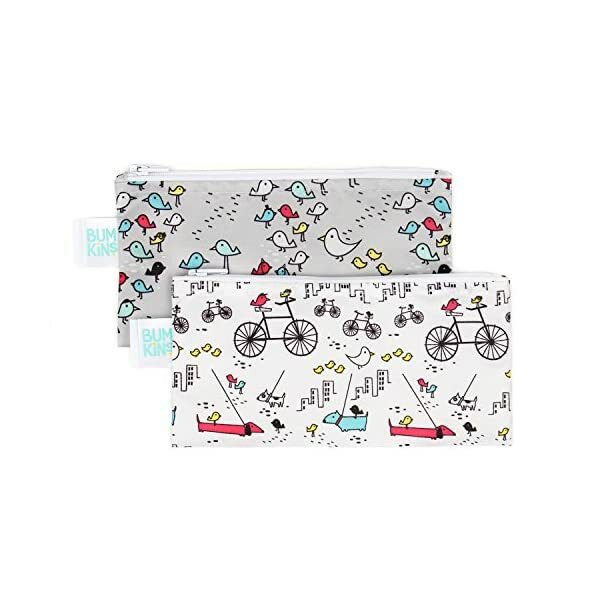 We can only imagine the amount of Food, Drinks and Money you would save with our Storage Bags. 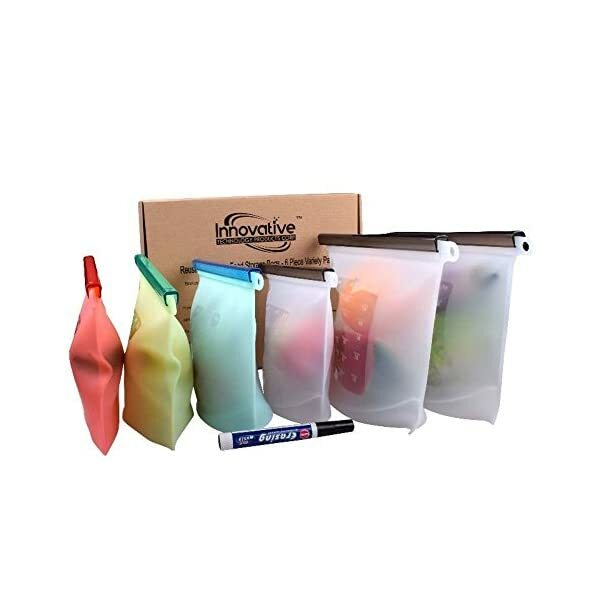 ✔️ OUR QUALITY - Our Silicone Storage Bags are made of 100% pure Silicone, with no chemical coating or plastic fillers. This ensures our Silicone Storage Bags are perfectly safe. ✔️ ECO-FRIENDLY - We understand that the world uses allot of plastic and other materials to store food that eventually become hazardous to the environment and to ourselves. So we took the time to provide a healthy alternative that keeps your food fresh, protects it from carcinogens, and environmental pollutions, that is 100% recyclable. 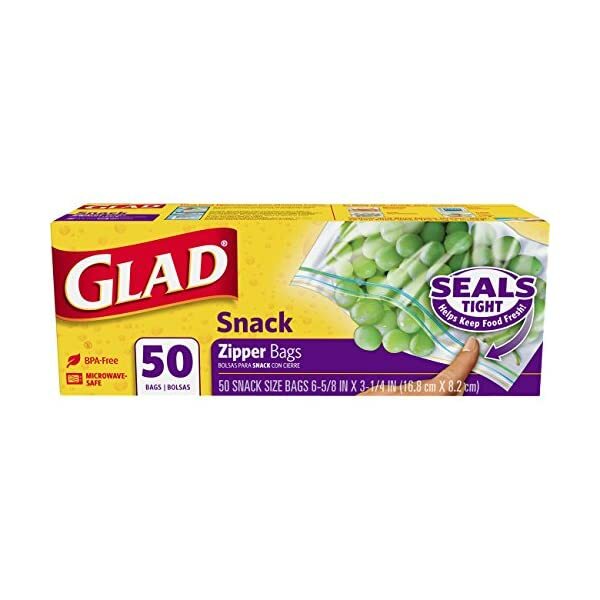 ✔ SUSTAINABLE, ECO-FRIENDLY KITCHEN ESSENTIAL: Never buy plastic bags ever again! Your purchase will reduce plastic waste in your home and contribute to a more sustainable earth. You will save money over the years by reusing them. 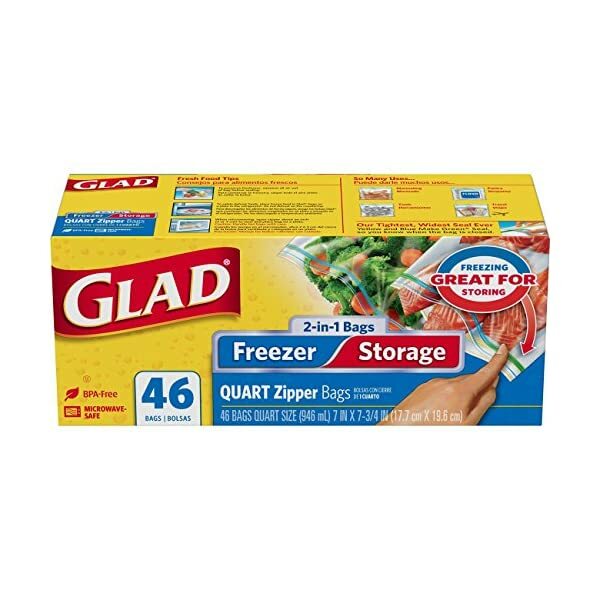 Get on track and stay organized with your meal prep by using these bags. Ideal for home, families with kids or pets, traveling, commuting to work, office lunches and more. 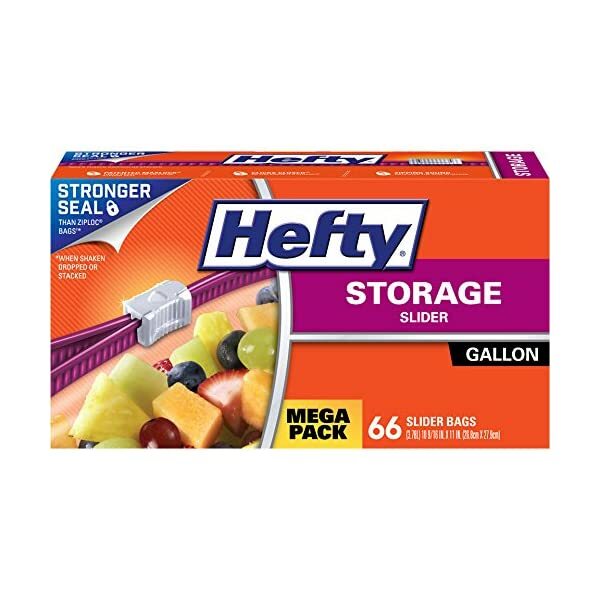 ✔ EASY TO USE + NO LEAKS = NO WORRIES: Boasting airtight and easy to use sliders, these food storage bags are perfect for all types of foods and liquids. Great for meat, veggies, fruit, leftovers, sandwiches, hot food, soups, smoothies, freshly ground coffee, fish food, breastmilk, salads, nuts, cheese, ice, baby food and many more. SECURE SEALING - Once the ring on the lid is pushed down, the silicone seal inside the lid will expand to seal the jar, creating complete airtightness. Pop the ring back up and it serves as a handle to lift the lid. 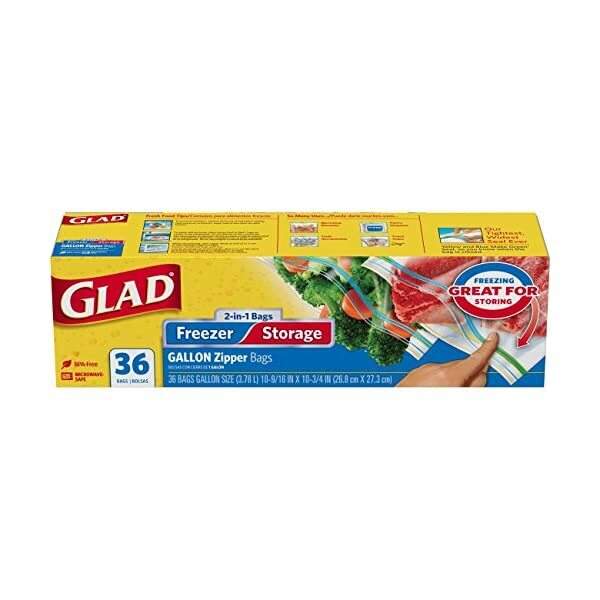 Provides maximum freshness and prolonged food storage.